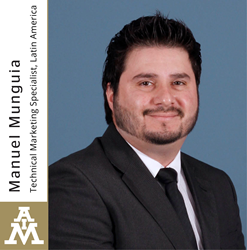 AIM Solder, a leading global manufacturer of solder assembly materials for the electronics industry, is pleased to announce the promotion of Manuel Munguia to Technical Marketing Specialist, Latin America. Mr. Munguia will serve in this capacity in addition to his current role as Senior Technical Support Engineer, Mexico, Central and South America. With 20 years of industry experience and more than five years with AIM Solder, Mr. Munguia’s extensive knowledge of AIM’s products and market requirements will allow him to provide high level contributions to the company’s Technical Marketing efforts. He will be focused on expanding and improving technical marketing materials, including white papers, speaking opportunities, general presentations, and training materials.